Gordon Elliott is not one to stand still for long or twiddle his thumbs - as every journalist seeking a post-race quote knows only too well - and that's clear to see upon entering Cullentra House Stables. Having only relocated to the 78-acre site in Meath six years ago, Elliott has overseen a remarkable transformation with the former dairy farm now a state-of-the-art training facility. Three different gallops, a host of schooling areas and an equine swimming pool are just some of the facilities on offer after building the place to his needs from the ground up. While typically coy on the official numbers in their care with wealthy owners like Gigginstown House Stud and Cheveley Park on the books, it's estimated at just north of 200 and if he has his way that will continue to increase. 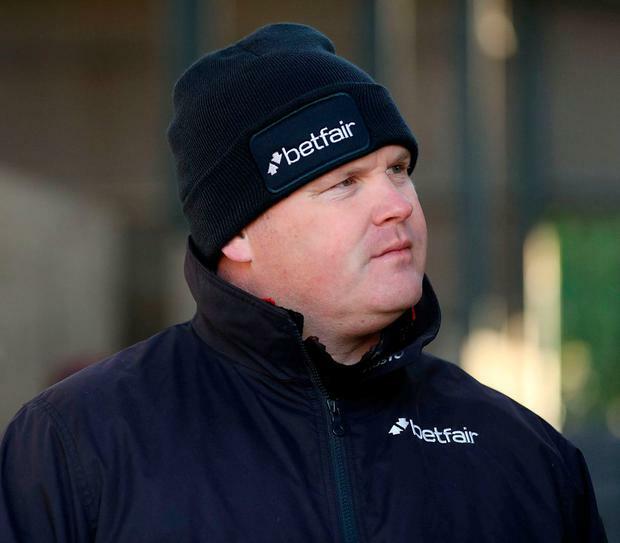 Landing his second Aintree Grand National through Tiger Roll last April and retaining his crown as leading trainer at the Cheltenham Festival were rewards for his extraordinary efforts and those of the staff he regularly lauds. But what really sets his pulse racing more than any winner is the thought of one day being regarded as the best in his field, a feat which looked likely the past two seasons before astonishing comebacks from Willie Mullins. "If you train horses and you don't want to be champion trainer you shouldn't be doing it. If you're happy to have half a dozen horses and do that, that's what you're happy with," Elliott says candidly. "To be champion trainer is something I want to do, we went close to it the last couple of years. It'll be a struggle this year because the horses weren't right for the first six weeks of the season. I don't think we'd a runner or a winner for a month or so. "So we're on the back foot this season but the horses are running well and once they're running well and healthy I'm happy. If you ask what my ambition in life is, that is to be champion trainer but I always say that Willie's an amazing man, an amazing trainer and it's great to be mentioned in the same sentence as him." 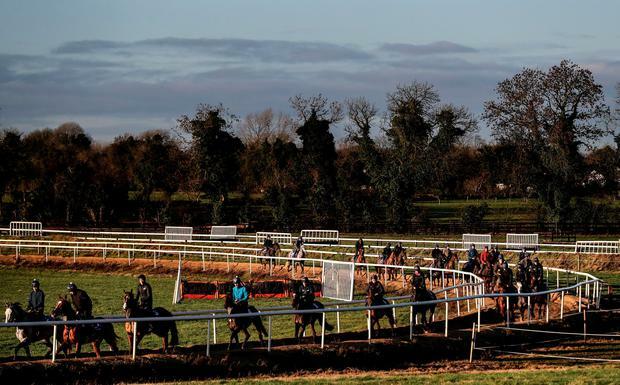 The setback he discusses clearly irks him as inaccurate gossip spread that his yard had been hit with Strangles - a very serious and contagious disease - after a lack of activity in the yard following the Punchestown Festival. "People want to knock you when you're going well. The horses weren't right. We took a pull, we publicised it, we'd the Turf Club out to work with us, we tested all the horses," he says. "We checked everything and thankfully we got over it. It was a tough six weeks, we had to sit on our hands, we were getting a lot of pressure from press, a lot of people talking sh***, I'll say it as it is. We were never going to train another winner and the whole place was going to shut down if you listened to everyone. "It delayed us six weeks as the horses only walked and trotted to make sure everything was OK. It just held us up completely. I thought it was the right thing to do and it has showed now it was." That's long forgotten as he closes in on his century of winners (95) for the season with Leopardstown's Christmas Festival from December 26-29 - which boasts €1.4 million in prize money - only around the corner. Star hurdler Samcro has been turned over on both starts this season but last year's imperious Neptune winner is expected to tackle the Grade One Ryanair Hurdle, although Elliott didn't rule out stepping him up in trip after finding Buveur D'Air much too good in the Fighting Fifth. "There's every chance he'll go for any race. I didn't discuss it (going for the 3m Stayers' Hurdle) with Michael O'Leary yet. I'll let it sit for a few days and we'll have a chat before the weekend," he says of the six-year-old. "I thought if we were going to beat Buveur D'Air it might be then but to be winning a Champion Hurdle, I thought we'd have to finish within a couple of lengths of him on Saturday and he beat us fair and square, so it's going to be hard to turn the tables. "But you should never be afraid of one horse, it's horse racing and a lot can happen between now and March so we'll see what happens." Hatton's Grace hat-trick heroine Apple's Jade will have an easy week after pulling off a shoe in her flawless Grade One victory on Sunday but should make the Squared Financial Christmas Hurdle, while Champion Bumper favourite Malone Road has "a little injury on his knee". "It's not career-threatening or anything, nothing serious but you won't see Malone Road until Cheltenham or Punchestown if he gets to either." Regardless, rest assured the Elliott winners' bandwagon will keep on rolling. Willie Mullins buried his Irish Grand National hoodoo in emphatic fashion as the Ruby Walsh-ridden Burrows Saint (6/1 favourite) led home a remarkable 1-2-3 for the Closutton maestro in the €500,000 Fairyhouse showpiece yesterday. Independent.ie Newsdesk Willie Mullins smashed his BoyleSports Irish Grand National hoodoo as Burrows Saint led home a one-two-three for the trainer in the marathon handicap chase at Fairyhouse.